What are the ingredients in pumpkin bread? Pumpkin bread is a scrumptious treat that you can have any time of year, not just in the fall. It’s super versatile, making for a great breakfast item, snack food, or dessert to top off any meal. You can even use pumpkin bread as a perfect housewarming gift or office treat. 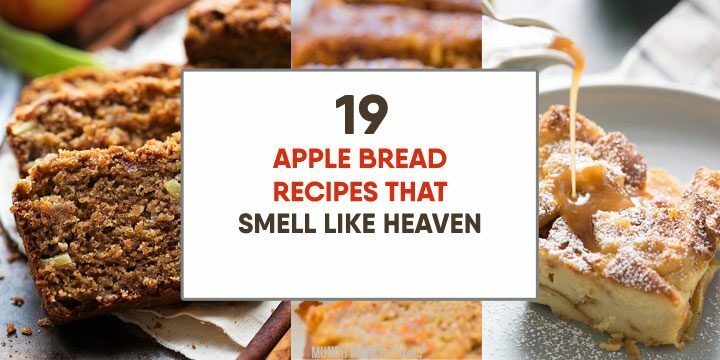 Enjoy its unmistakable scent, soft texture, and nostalgic flavor by trying out any of these pumpkin bread recipes today! Weekly meal plans & grocery lists sent right to your inbox! SPREAD THE FOOD KNOWLEDGE, SHARE THIS POST! This post may contain affiliate links. See disclosure for more details. 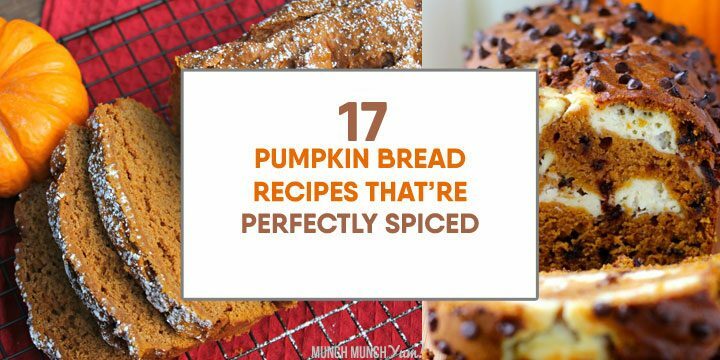 Like with many baked goods, there can be wide variety between individual pumpkin bread recipes. However, there are still some main things you’ll find in common. In addition to the standard ingredients you’d expect to find in a baked good recipe (such as flour, eggs, butter, etc. ), the two main ingredients that are characteristic of pumpkin bread are pumpkin and the spice blend. Note that there are different types of canned pumpkin products so read your recipe and the cans very carefully. 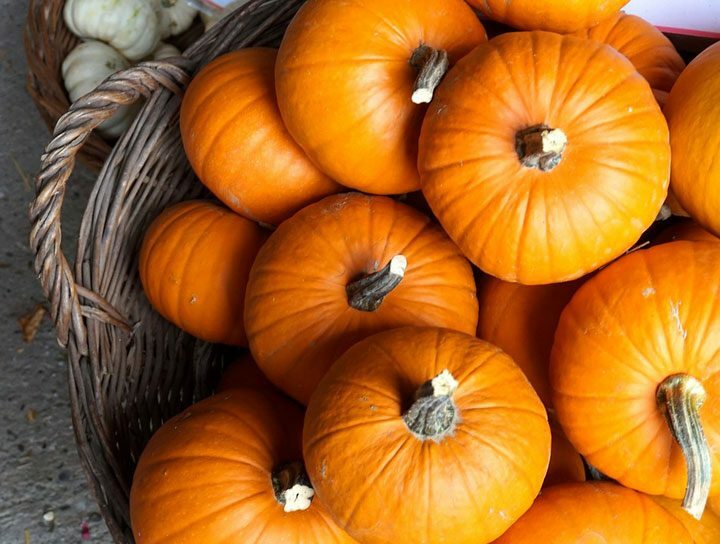 Some cans are already sweetened or spiced, but your recipe might call for plain canned pumpkin. Fresh pumpkin requires a lot more prep work to collect the pumpkin meat and puree it. 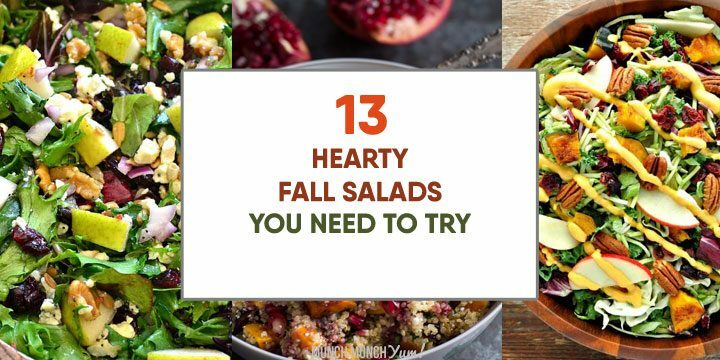 Plus, flavor and texture can vary widely from pumpkin to pumpkin. This means that you may have to add more flavoring and adjust the consistency to get the taste and thickness you want. That said, if you have access to a great source of fresh pumpkins, you can get better flavor than you would out of canned pumpkin. 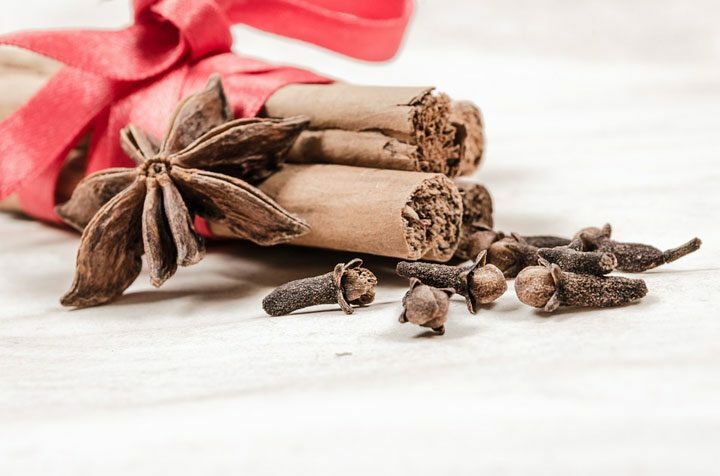 Other recipes call for only a select few of these spices, but they are all quite complementary so if you don’t have one on hand you can always try substituting for another. It is important to note that in traditional pumpkin spice, there are greater quantities of cinnamon and cloves which their flavors more dominant and the ones that people associate with pumpkin bread. If you really want to hit the nostalgia factor, try not to omit those two spices. As a last resort, you can substitute pumpkin spice mix with apple pie spice mix instead. It is very similar to pumpkin spice mix, but lacks the cloves. Satisfy your bread and dessert cravings at the same time with tasty pumpkin bread. These recipes for pumpkin bread include options for all kinds of diets of allergen-sensitivities. Don’t wait any longer to make one of these pumpkin bread recipes today. LIKE WHAT YOU SEE? FOLLOW US ON PINTEREST! 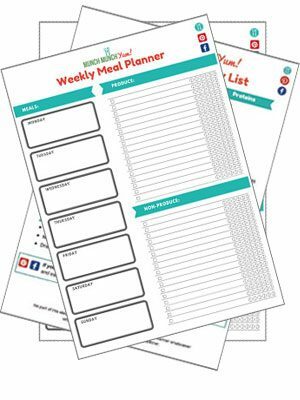 Get your FREE Meal Planning Template, Pantry List, and other printables to make your vegetarian journey a breeze! Join our mailing list and have these freebies sent right to your inbox now! 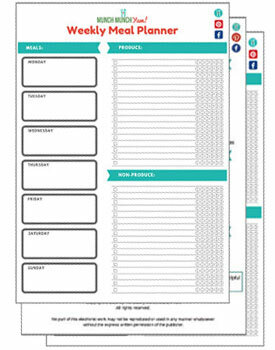 Your free meal planner template is on its way to your inbox! Want to make meals easier? Join our mailing list and get our free food printables sent right to your inbox now! Munch Munch Yum DOES NOT PROVIDE MEDICAL ADVICE. The content on all websites & social media accounts associated with Munch Munch Yum is for INFORMATIONAL purposes only and is not intended to be a substitute for professional medical advice. Reliance on the information provided herein is at the choice & risk of the reader.